The publication constitutes a sort of vademecum catalogue for the joint exhibition Mots et monnaies, organized by the Fondation Martin Bodmer, the KIKPE Foundation and the Benaki Museum at the Bodmer Museum (Cologny, Geneva; November 2012 – March 2013). 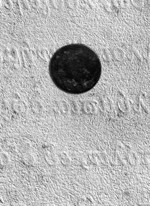 In an original attempt, manuscripts and books are combined with coins, as well as with other artefacts, highlighting the intertwined relation between words and images. The focus is turned on legends, stories, traditions, persons and events which are echoed both on written/printed material and on numismatic material, in a fashion that shows how the two media resemble, differ and complement each other and how their messages were disseminated in human societies through the ages. This prestigious full colour catalogue contains a lavish photographic essay by photographer Laziz Hamani and is edited by Luc Derycke.